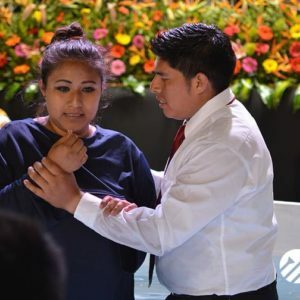 From February 21 through February 23, Pastor Robert Costa, speaker/director of Escrito Está, held evangelistic meetings in the capital city of Guatemala. On the first night, almost 3,000 people attended the meetings. One thousand of the attendees were visitors who were either brought by a friend or who received one of 10,000 invitations delivered by Publinews newspaper or through social media. 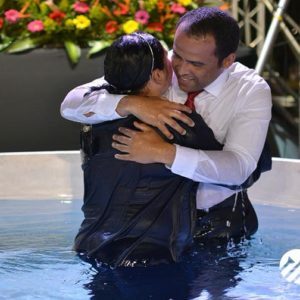 The event concluded with 90 baptisms, including eight on the first night, and 195 additional decisions for baptism. 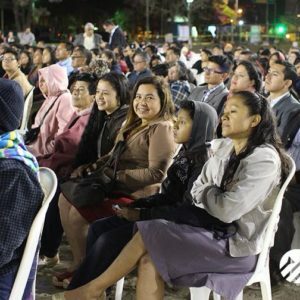 The event was streamed through three local radio stations and Facebook Live where thousands more had the opportunity to listen to the message. 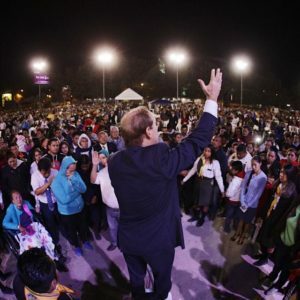 During his visit to Guatemala, Pastor Costa was also scheduled to speak and pray for the thirteen magistrates of the Supreme Court of the nation. 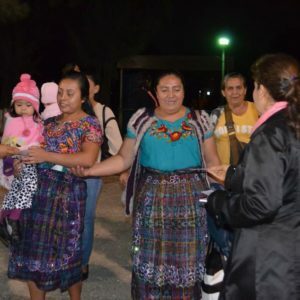 He and local church leaders were welcomed with kindness and given full attention. 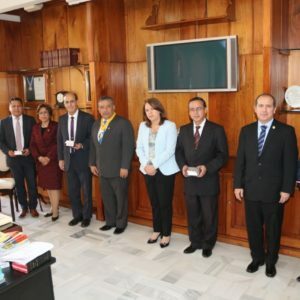 One of the employees of the Supreme Court who coordinated this meeting said, “We will receive them like ambassadors because they are ambassadors from Heaven.” Pastor Costa gave the president of the Supreme Court, Jose Antonio Pineda, an Ambassador of Peace Medal and invited the magistrates to attend the evangelistic meetings. They were also given the book, Una Luz de Esperanza (A Light of Hope), written by Pastor Costa. The pastors were delighted to learn that one of the Supreme Court judges watches the half-hour program, Escrito Está, and enjoys listening to the daily devotional, Una Mejor Manera de Vivir (A Better Way to Live). Another important activity took place last Thursday, February 22, when Pastor Costa was invited by a lay member, Manuel, to visit the military prison to preach and pray for two former presidents of the country and former government officials who are accused of political corruption. Manuel visits this prison weekly to study the Bible with the inmates and bring them hope. He was grateful that Pastor Costa could come to share with them. The weekend’s agenda also included providing evangelism training to lay members and pastors and a professional seminar entitled “Failing Successfully” for a relatively small group of 300. 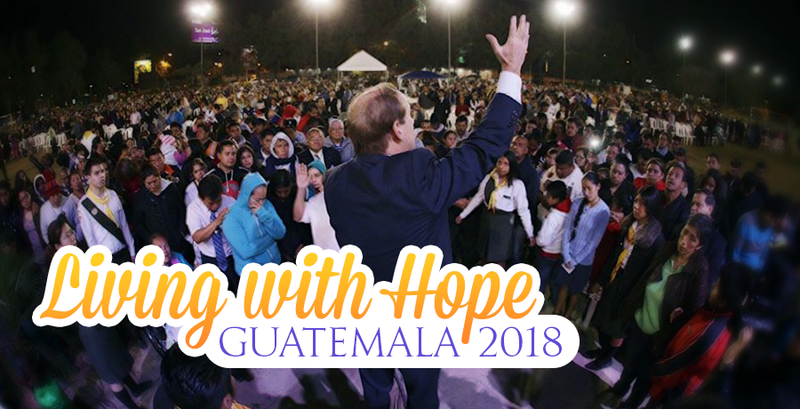 This video provides a short summary of one of the evening meetings in Guatemala City. 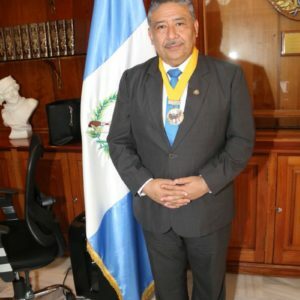 The president of the Supreme Court of Guatemala, José A. Pineda, received an Ambassador of Peace medal. People arriving early to attend the meetings. An average of approximately 3,000 people attended each night. The event concluded with 90 baptisms. More baptisms are expected in the following weeks. About one-third of attendees were first-time visitors who learned of the meetings through advertisements or personal invitations. 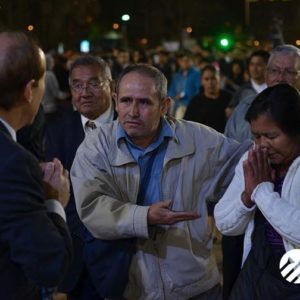 People approached Pastor Costa to pray for them. 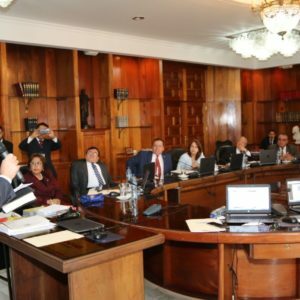 Pastor Costa spoke to leaders of the Guatemala Supreme Court. ©2004-2019 It Is Written's Blog, It Is Written, Inc. All rights reserved. It Is Written is a registered trademark of It Is Written, Inc.